With the arrival of fall comes a whole lot of apple picking and baking! We have two big apple trees that always give us and our family plenty of apples for lots of delicious treats. We can, we bake and bake some more. There are so many things you can make with apples whether it be applesauce, pies or these delicious apple fritters. 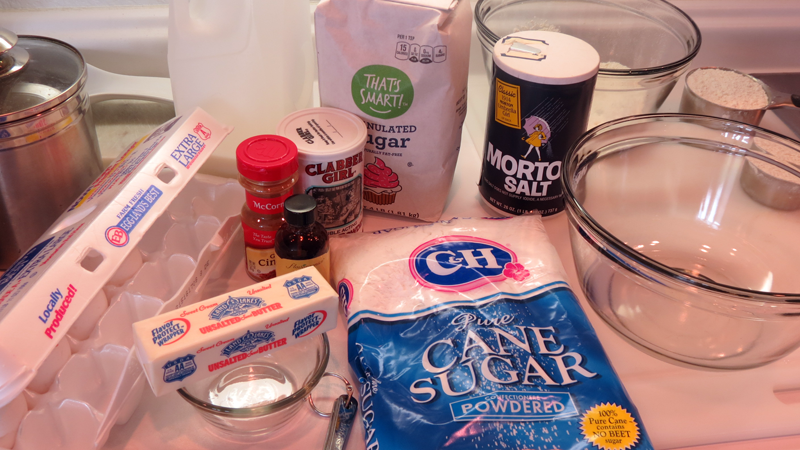 Combine the flour, sugar, baking powder, salt and cinnamon in a mixing bowl. Grab a separate bowl, add the eggs and beat with a fork. Then add the melted butter, milk and vanilla. 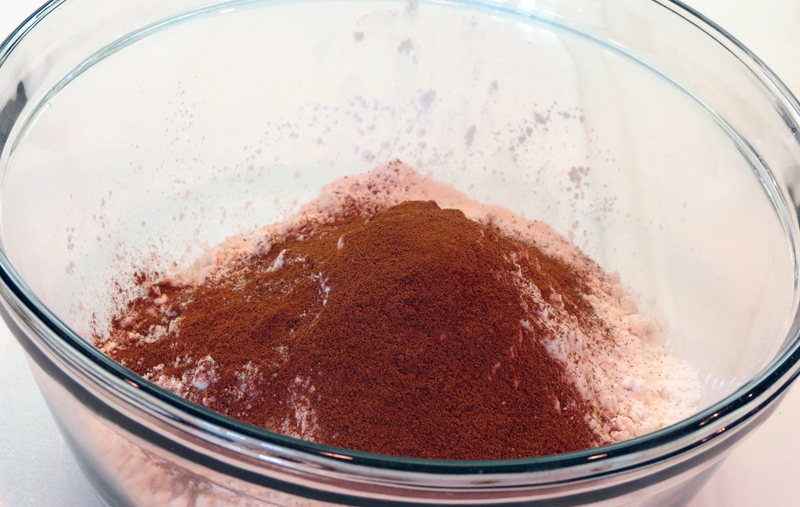 Gently fold both the wet and dry ingredients together until combined. Don’t overmix! 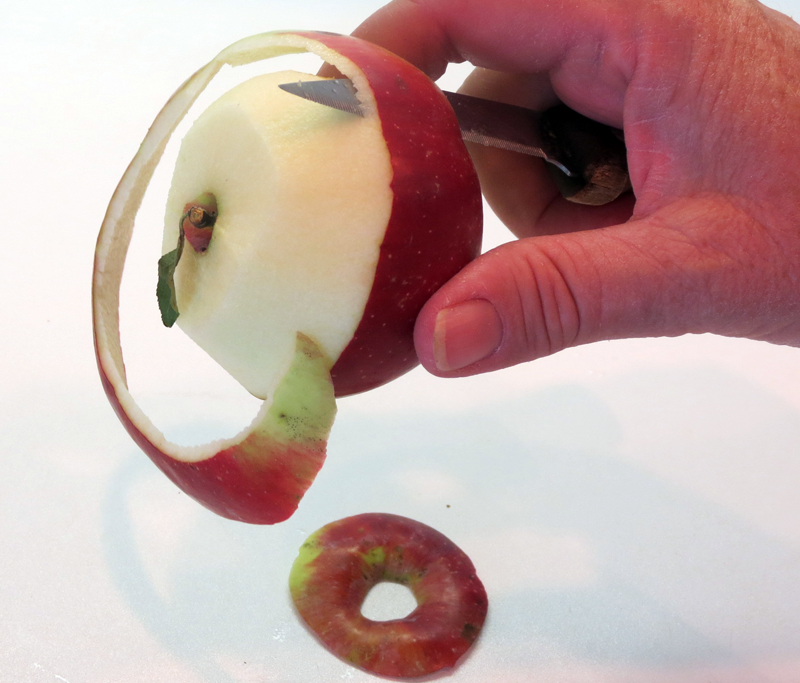 Fold in the diced apples. 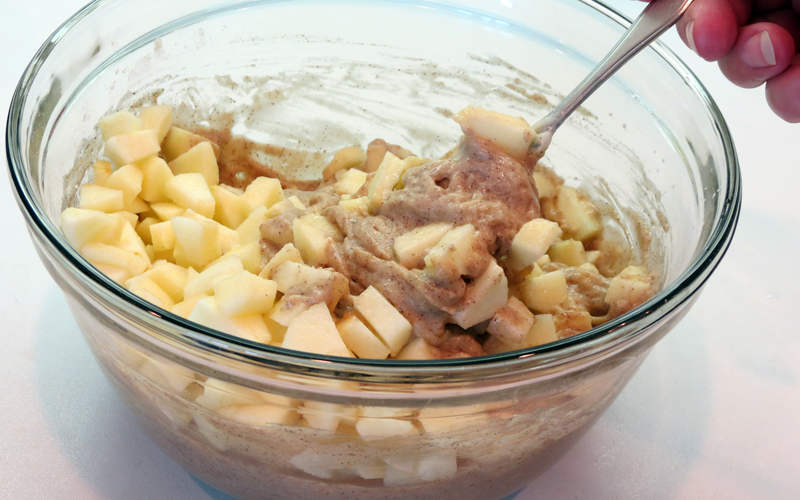 You will want a chunky batter so you can add more or less apples if you need to. Add enough oil in your pan for around two inches deep. Heat the oil to medium-low heat. When the oil gets hot drop a tiny bit of batter onto the oil to see if it’s ready. 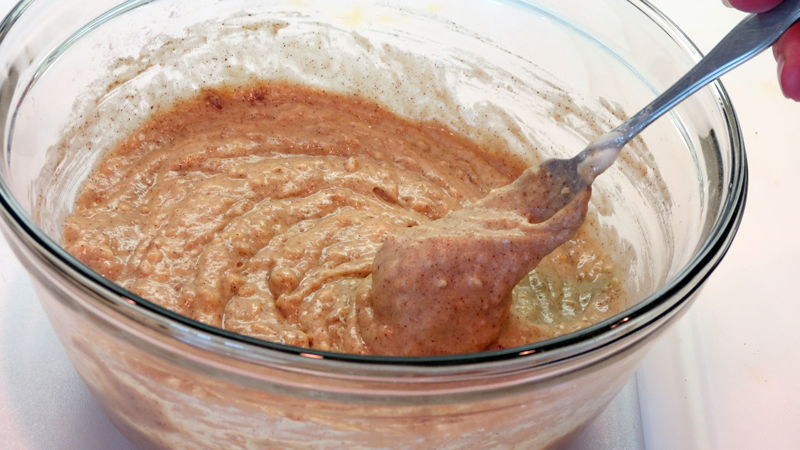 If it sizzles and the batter rises to the top then you’re ready to make fritters! Turn down the heat if your batter burns quickly. 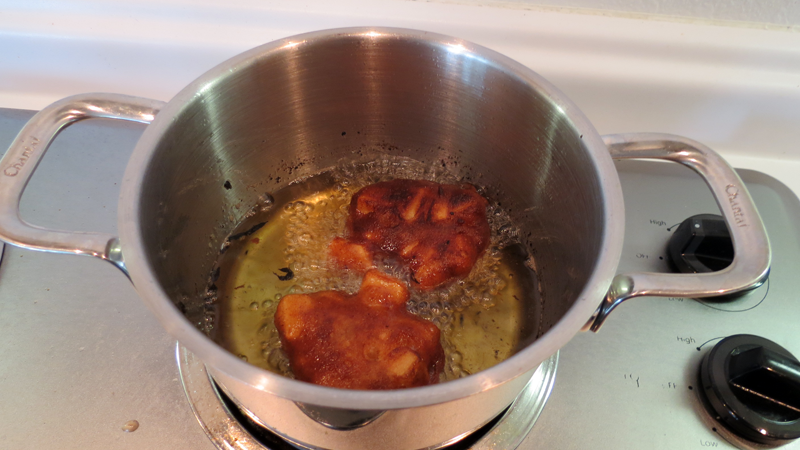 Start dropping several drops of batter into the hot oil… around teaspoon size or a little larger. Flip when they are floating well. You don’t want them overcooked so watch them carefully. Mine took around two minutes to cook through. Have a paper towel laid out on a plate to place your fritters. The paper towel will soak up any excess oil and that means less clogging of our arteries! Now you can dust with the powdered sugar, glaze them or use the glaze for dipping. Be sure you serve your fritters warm. No one wants a cold fritter! You can even reheat them the next day for 6-8 minutes in the over at 350 degrees. I like mine fresh though! What’s your favorite fall apple recipe? Comment below and share with us! These look so good. We buy them every year at the apple orchard, but I’ve never made my own. What a great recipe! My hubby loves these. Thanks for showing me how to make them. 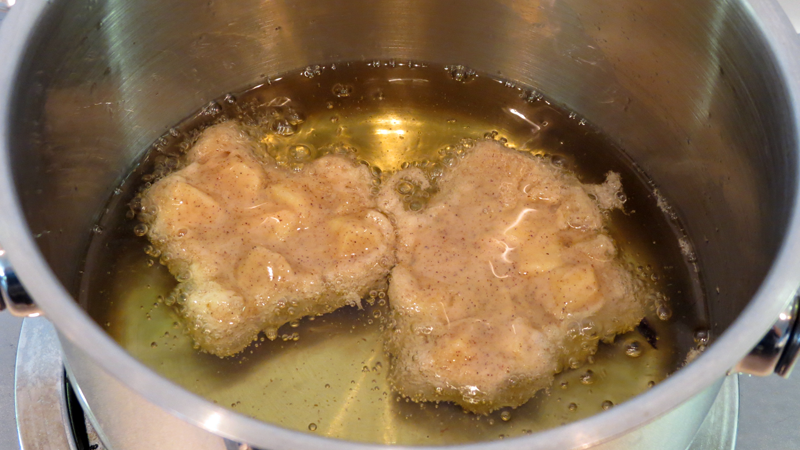 Thanks for sharing your recipe for Apple Fritters. My grandmother used to make them and we all loved them. It’s a perfect time to buy apples in North Carolina where I live and I can’t wait to try your recipe. Just got some apples today from a friend’s tree. These would be good. These Apple Fritters look so delicious and easy to make. I am going to make these and I can not wait to taste them. Thanks for an awesome recipe!! This will make a great sweet treat for fall. I love apples in any kind of dessert. The crunchiness of the fritter is a great contrast to the moistness of the apple. I’ve never tried apple fritters before. They look delicious. Thanks for sharing! 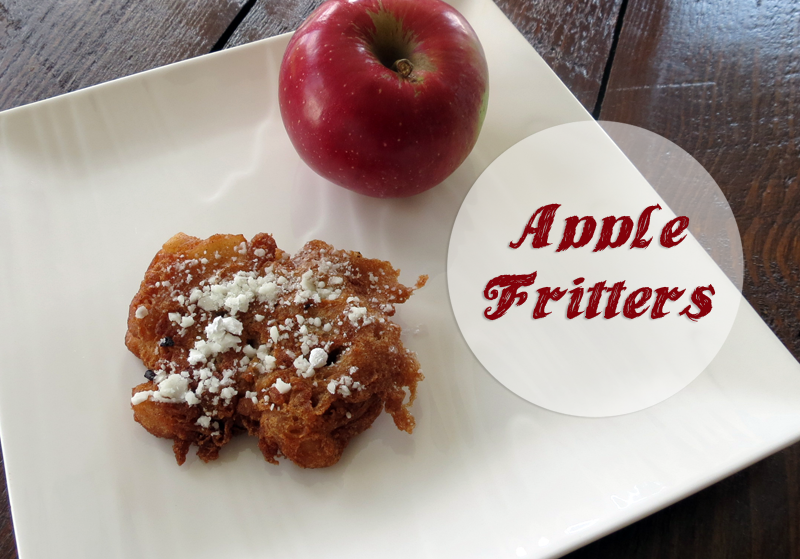 I love apple fritters, I’ll definitely want to try this recipe! Thanks for posting. I most definitely would love to try the Delicious Apple Fritters. I think it is a fine plate, of which I am going to try out later in the week. 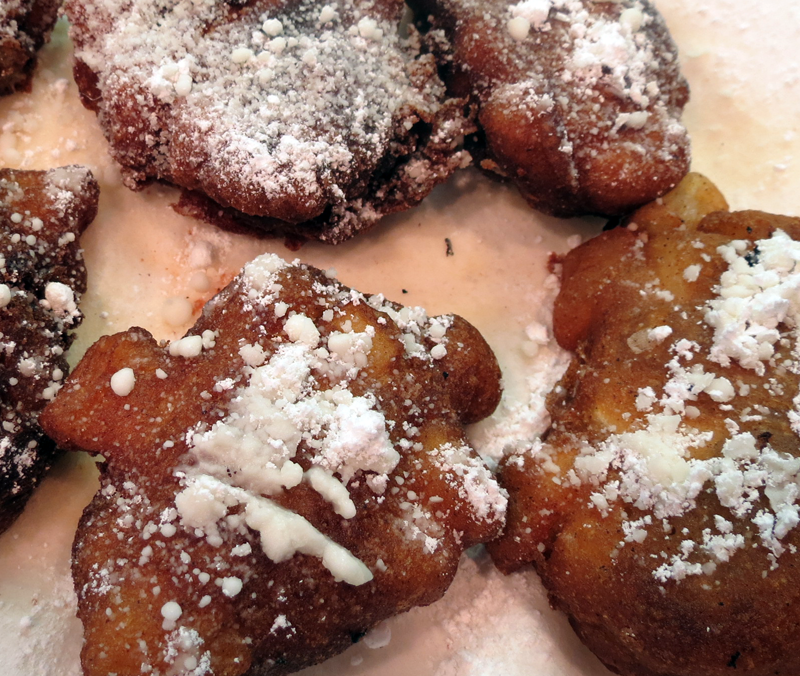 These apple fritters do sound delicious and just in time for Fall. Thank you for sharing, I love Apple Fritters. Oh wow, i am going to make these very soon! These look so good. Perfect for Fall. I’ve never made any of these before, but they sound good. These look absolutely delicious! Fall is the season of baking. So we’re always looking for delicious new recipes. Definitely giving these a try. I love fritters of any kind. My mother-in-law made the best. I will definitely make these as they look so yummy. Thanks for sharing. So easy and they look soooooo good! Definitely a sweet treat for the kids. I’ve never made fritters, nor had them! They look wonderful! We love fried dough, so this would be a big hit, I must make it!